People put great care in their general appearance and having a gorgeous hairdo is the perfect way to complete an elegant outfit. The reputation is of extreme importance in this industry and the best way to create it is via social media. 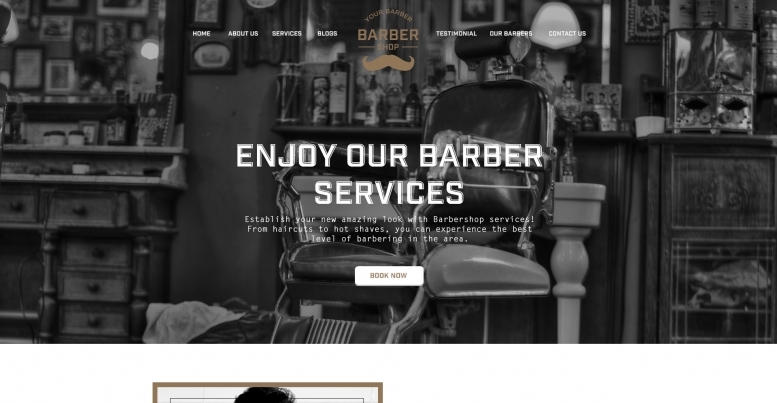 In order to get people's attention and let them know your salon is absolutely amazing, you will need to make sure your site is representing you correctly in the online world. It is important to let satisfied customers share their opinion which is why our template implement features like social options. This helps your site gain in presence and your salon gain in reputation which leads to more new customers for your business. The layout is equipped with high quality images that make viewers want to try your services. Also, the content is extremely well organized so the user doesn't get bored or confused while browsing. The great browsing experience and the relaxed atmosphere are spiced up with modern functionalities like smooth visual effects, search engine friendly, parallax effect, and responsive designs. $30.00 The simple license would allow you to use the template to create one website.